Yes yes, the chill is in the air now, fall is here and retailers are humming holiday tunes and setting up lights, reminding us all exactly how many days we have left until the ultimate deadline. They need to put on the pressure to make it feel like an obligation and not just an optional gift-giving occasion. And I don’t feel the pressue until I see Nieman Marcus peddling overpriced fantasy gifts via catalog. And look at that, Nieman Marcus put out their annual holiday gift guide, called the Christmas Book, just the other day. It’s jam packed with things even the top 1% of the American financial elite would think twice about buying. These are difficult days economically, not the best time to be putting out catalogs filled with $110k dollar motorbikes and $45k dollar gold rings owed by 12th century Vikings. Some people may take offense. Not me, I think it’s fine reading and enjoy it thoroughly. Some people, though. Lots of fine jewelry of course, some clothes, a backyard golf course custom-designed by champion Jack Nicklaus, a life-size Lego replica of you or your beloved (only $60,000), a real live Kentucky horse farm complete with a stable of 15 thoroughbreds, a complete 35-year collection of every 45 RPM record listed on the Billboard Top 100 Rock and Pop charts, and an entire football stadium end zone in your backyard are just a few of the many gifts you can order from the Christmas Book. But the sales from that fantasy catalog aren’t the point, it really doesn’t matter if they sell anything from it or not. The real point is, associating the brand with wealth and class. If you buy a 50 dollar shirt from Nieman Marcus online or from one of their catalogs, you just bought a shirt from the same company that sells million dollar fantasy gifts to billionaires. You’re high class. So that’s their reasoning, how you know. Merry Christmas. 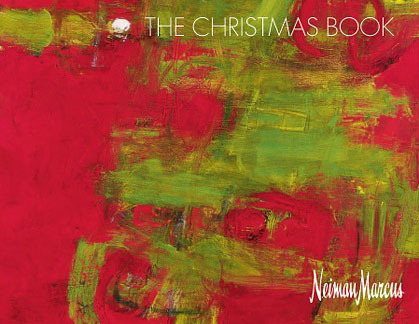 You can browse through the pages of the Nieman Marcus Christmas Book here.